Since it's the 25th anniversary of The Next Generation, we wanted to honor this iconic series with this new top! Using the opening monologue to form the Starship Enterprise, Boldly Go and show that you are a Star Trek fan! Honor this iconic female character and show that you're an expert at communicating in this super soft and flattering costume top! Turn this top into a costume or style it as an everyday outfit and you can inspire others. If you were a child of the 80's, chances are you had a crush on Wesley Crusher! With the 25th anniversary of The Next Generation we wanted to honor the boy that made many fangirls geek out with this "I've Got A Crush On Crusher" tee! Can't wear a logo t-shirt to work but want to show your fangirl pride in a subtle and professional way? 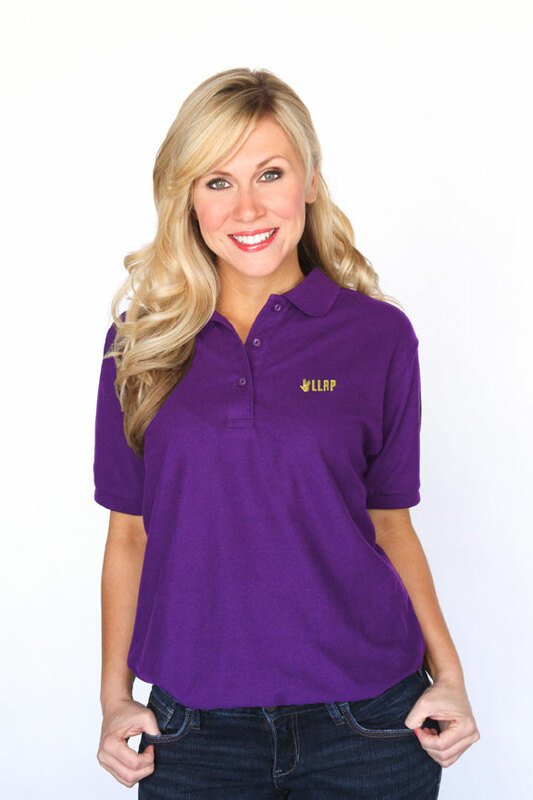 Now you have your wish with this women's polo top. Featuring the Vulcan hand symbol and the acronym LLAP you can tell others to Live Long and Prosper. We love Mr. Spock and we thought the logical way to show our love was to make this I Grok Spock top! Forming a heart with the Vulcan hand symbol, you show others that you know how to dress logically.